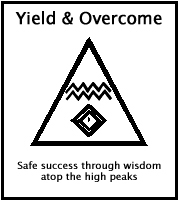 The personal rewards of adventuring atop the high peaks are potentially massive, and depend only on our ability to manage risk. And we must manage risk, not embrace or avoid it. We manage risk by balancing risk with reward to achieve frequent success against difficult goals while avoiding dangerous mistakes and traps that encourage irresponsible behavior. To manage risk well means to: (1) understand which risks threaten us during our high peaks adventures and (2) manage those risks in a way that suits us. No one can tell us how to be safe atop the high peaks without first asking us what we enjoy and what makes the experience meaningful. It is this personal nature of managing risk atop the high peaks that forces us to examine the topic for ourselves.